At Top Tech Automotive we specialise in all mechanical services and repairs, the diagnosis and repair of electrical faults, as well as air conditioning services to keep your car running smoothly. We specialise in all types of vehicles; local, European and Japanese vehicles including Subaru (boxer engines). Most people with new cars don’t realise that you don’t need to have your car serviced at the dealership to retain your warranty. However, when servicing new cars under warranty it is important that genuine manufacturer parts are fitted, the oil used is of the highest quality and all repairs are carried out to the factory specifications for your vehicle. A fact often neglected by private mechanical repairers. At Top Tech Automotive we guarantee that new car repairs will always be done to this high standard to prevent your warranty becoming void. We can even stamp your log book and keep everything up to date. 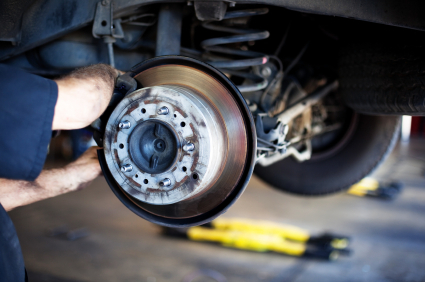 After the warranty on your vehicle has lapsed it is no longer necessary to use genuine parts and at this time people often go for the cheaper options when servicing their car. 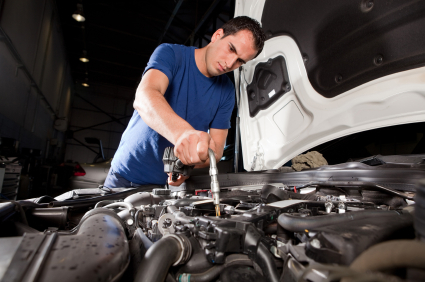 It is, however, important that your vehicle is maintained and running for as long as you need it. 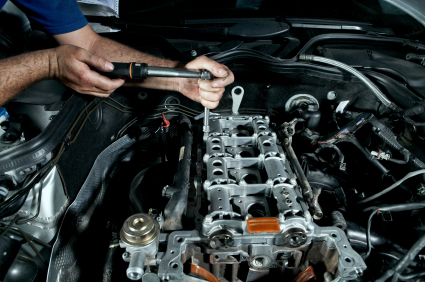 To prevent expensive damage to your engine in the future, prevention is the key. 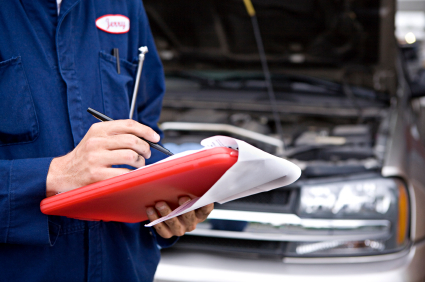 That is why with every service we check all aspects of your vehicle and provide you with a comprehensive report outlining the mechanical condition of your car. This ensures that you are always informed and are better able to decide what repairs to carry out and when these should be done to keep your car running safely. We also give you the option to choose the quality of parts you wish to use according to your budget. See our full service checklist for more information (link to checklist). When your car is due for registration with the RTA you need an e-safety check (formerly a pink slip). As a registered e-safety check station, at Top Tech Automotive we can perform your e-safety check and using our computer system transfer the information directly to the RTA. This allows you the convenience of renewing your vehicle registration online or over the phone. Newer model vehicles have more sophisticated technology incorporated into their engines. Often small faults in the computer and electrical systems can result in major disruption to the cars function. Many mechanics do not have the correct tools to repair these faults and have to send your vehicle elsewhere at greater expense to you. 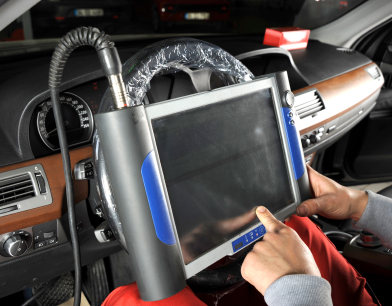 At Top Tech Automotive we have the latest factory tools to diagnose and reprogram the computer and electrical system of your vehicle on the spot, without inconveniencing you. Air conditioning systems are one of the most often neglected components of a car and it can be terribly uncomfortable for you when it fails. Proper maintenance on a regular basis is vital for preventing air conditioning systems from failing. While most mechanics offer air conditioning services many simply top up the gas that has been lost over time. While this can make your air conditioning feel cooler in the short term it does not prevent it from breaking down in the future. As part of our air conditioning service we not only re-gas your system, but also replace filters which often become blocked with debris, replace seals, and check the hoses for leaks, the belt tension and the condition of the compressor. It is unfortunate when engines or gearboxes fail and it can be very costly to get your car back up and running. At Top Tech Automotive we can help! There are three options to bringing your car back to life after an engine or gearbox failure. The most common is to replace the engine with a new one of the same make and model as your vehicle. While this can be a good option as you know that all components will be working properly, and new parts will have a warranty, it can be expensive. When replacing your engine is beyond your budget, a second-hand engine can be a more cost-effective but does not usually come with any warranty or guarantee. The third option is a reconditioned or rebuilt engine which is often cheaper than a new engine, and comes with a limited warranty. At Top Tech Automotive our technicians have extensive experience in reconditioning and rebuilding engines and gearboxes and can help you with whichever option you decide. Copyright © 2011 Top Tech Automotive - All Rights Reserved. Designed by AT Web Design.